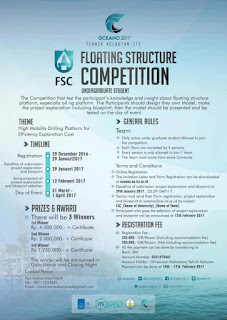 the competition that test the participant's knowledge and insight about floating structure platform, especially oil rig platform. The participants should design they own Model, make the project explanation including blueprint, then the model should be presented and be tested on the day of event. 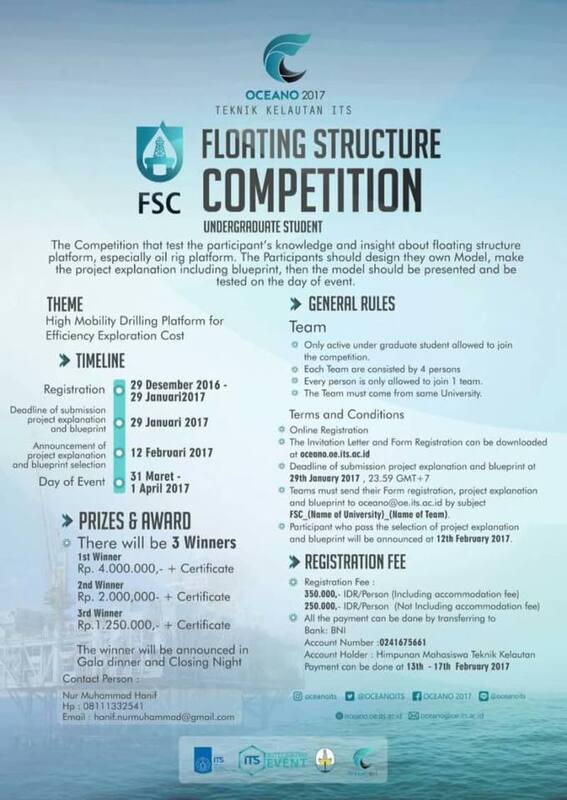 Theme : "high mobility drilling platform for efficiency exploration cost"
0 Response to "OCEANO 2017 : FLOATING STRUCTURE COMPETITION for UNDERGRADUATE STUDENT"